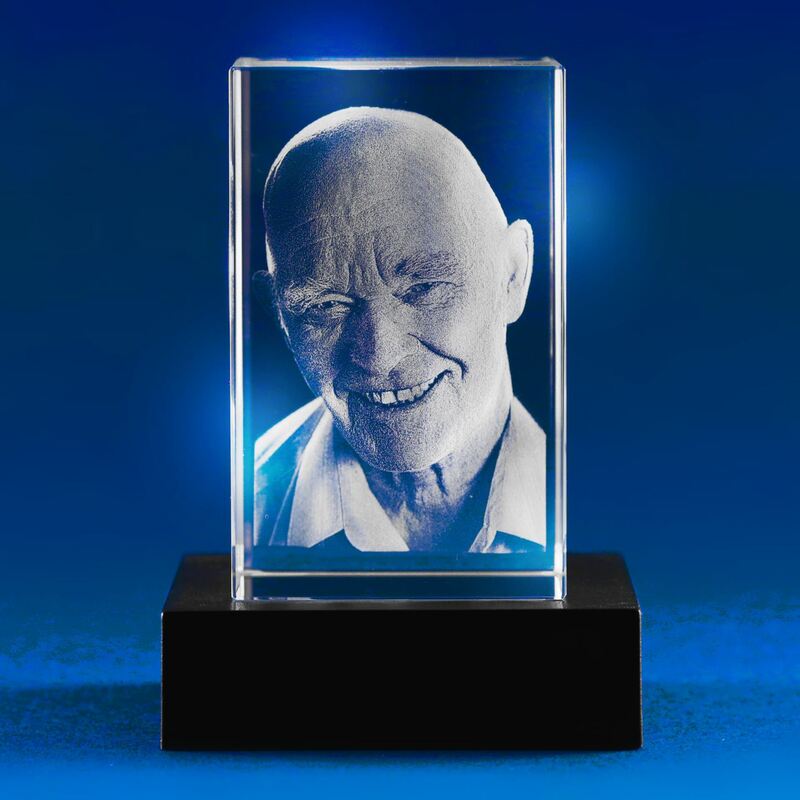 The most popular crystal block for one figure portrait-oriented photo. 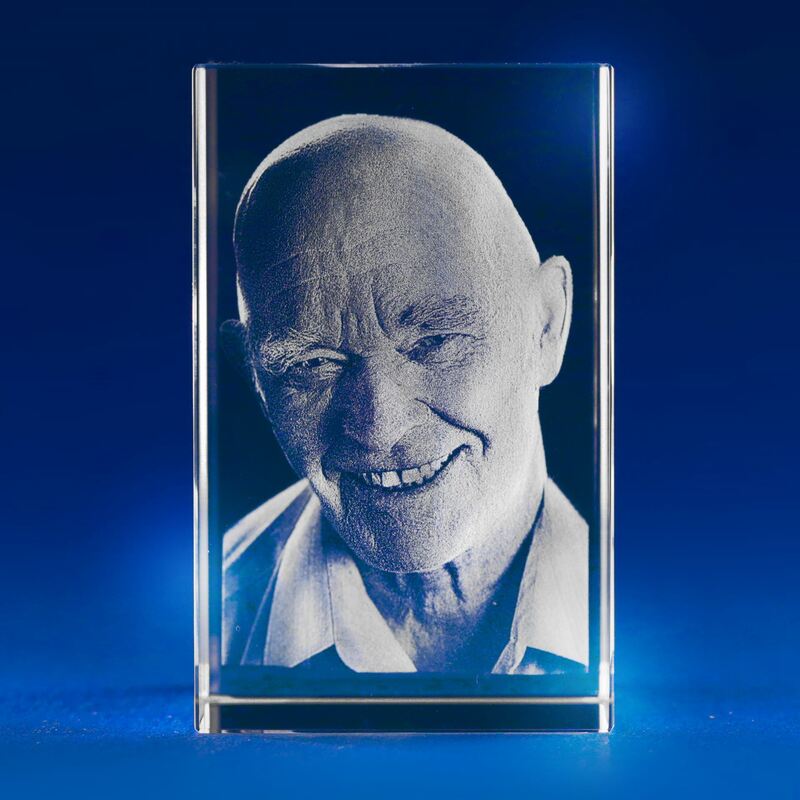 For landscape-oriented images we recommend to check TRAIN-shaped crystals. 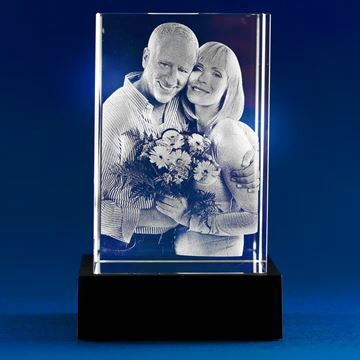 Having a 3D photo of you and your loved ones lasered into a crystal will leave you with a permanent memory to keep with you and enjoy. 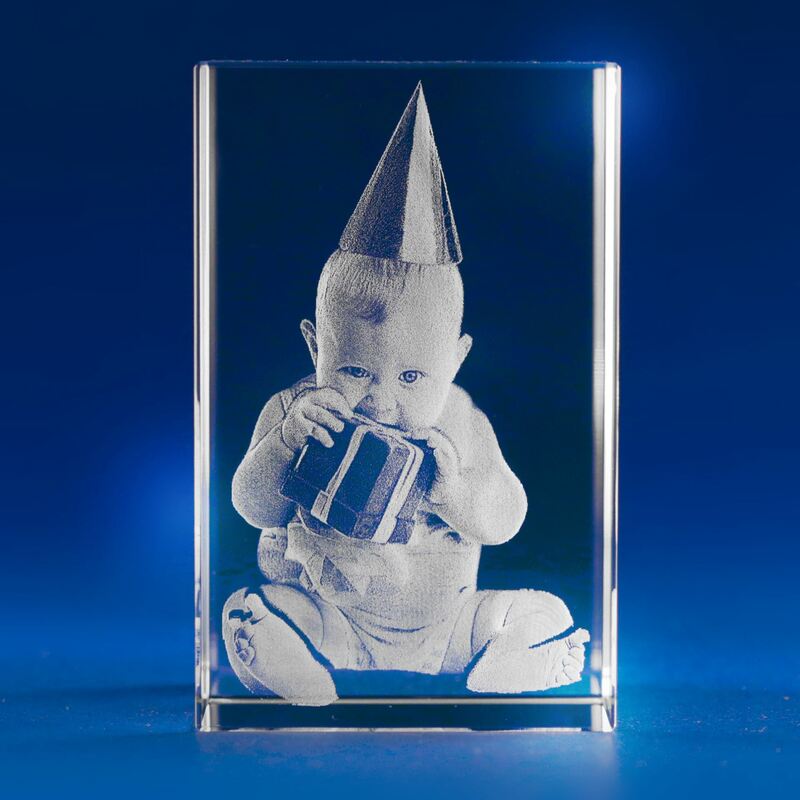 It can also be a beautiful gift for your family members and friends. 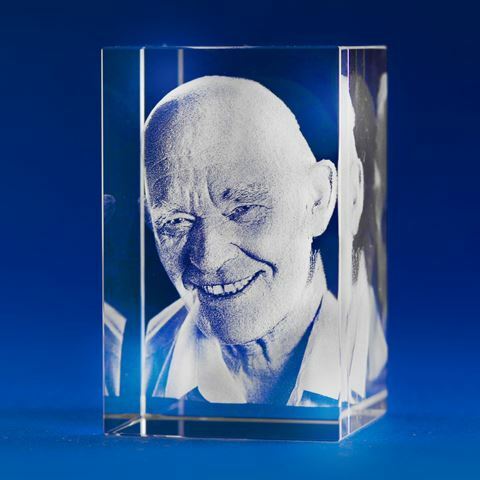 Each crystal is presented in a quality gift box with magnetic catch and padded interior lining. Upload your image and add a caption to it to make it more unique and sentimental. It is free of charge. 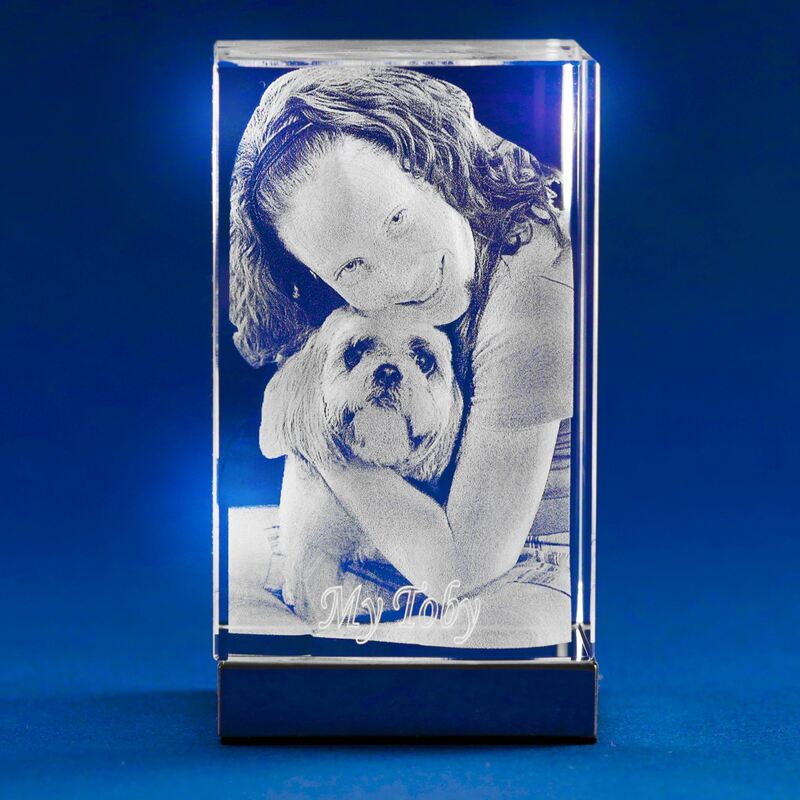 All our crystals are made of high quality K9 optical glass, well-known for its high resolution and clarity. 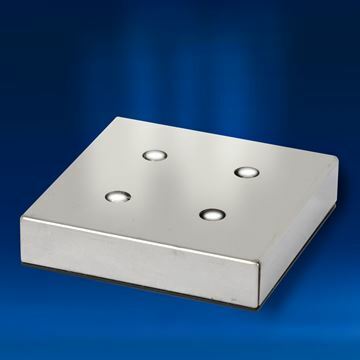 Your photo will never fade, but to make it look even better you can place it on one of our light bases. 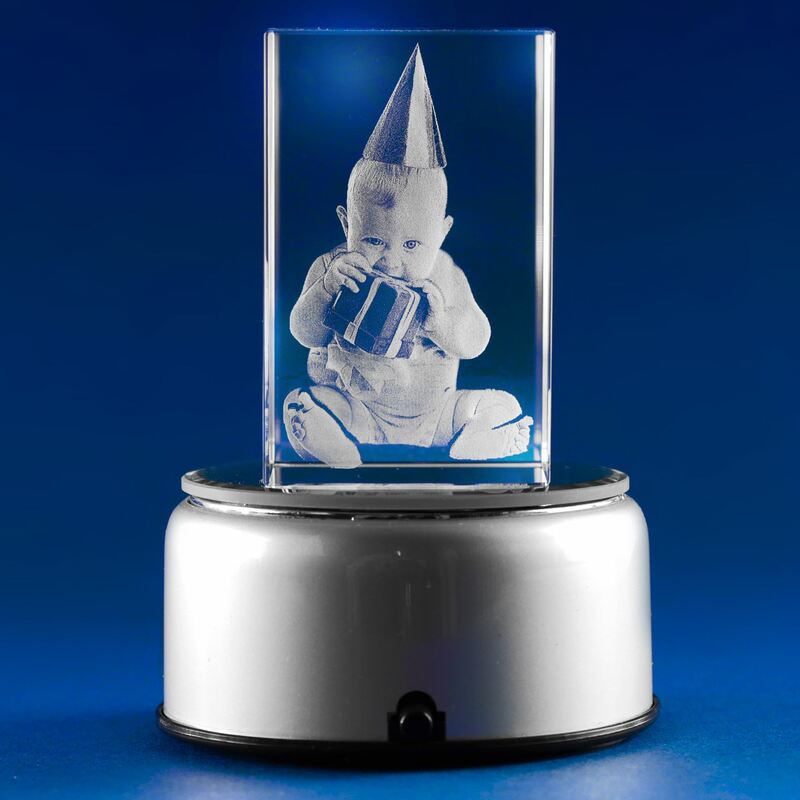 They provide a beautiful effect, illuminating your 3D photo from the bottom. 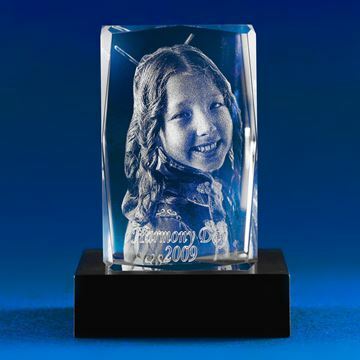 Large crystal designed for 1-3 figure portrait-oriented photo. 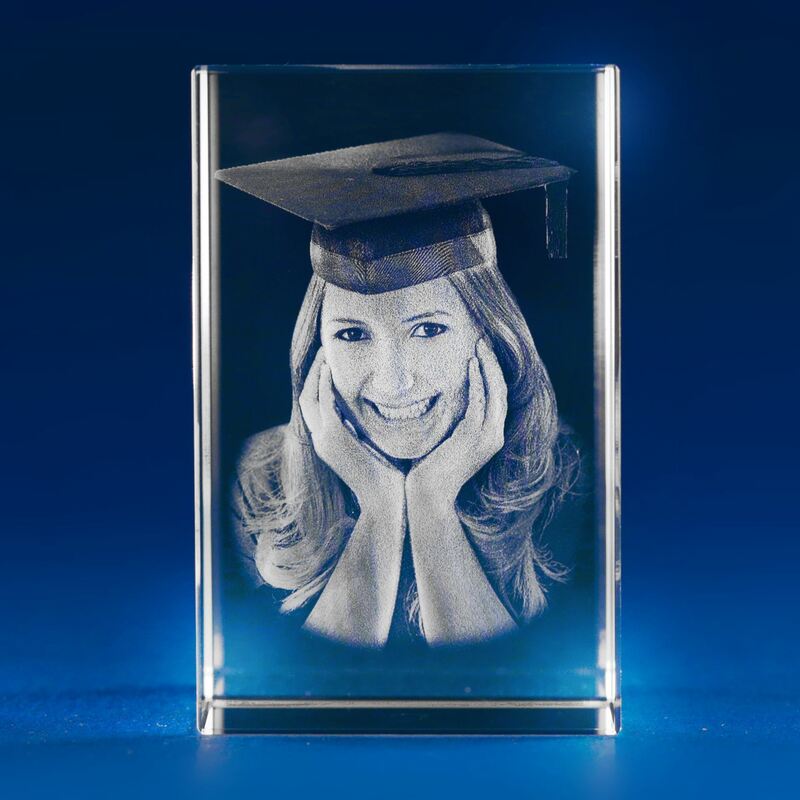 Perfect Personalised Christmas Photo Gift on sale now! 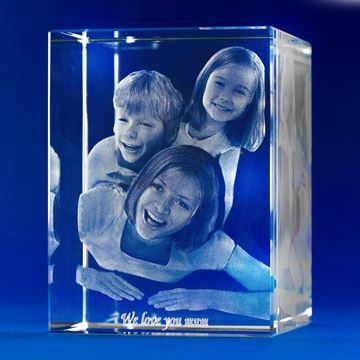 The largest crystal designed for 1-4 figure portrait-oriented photo. 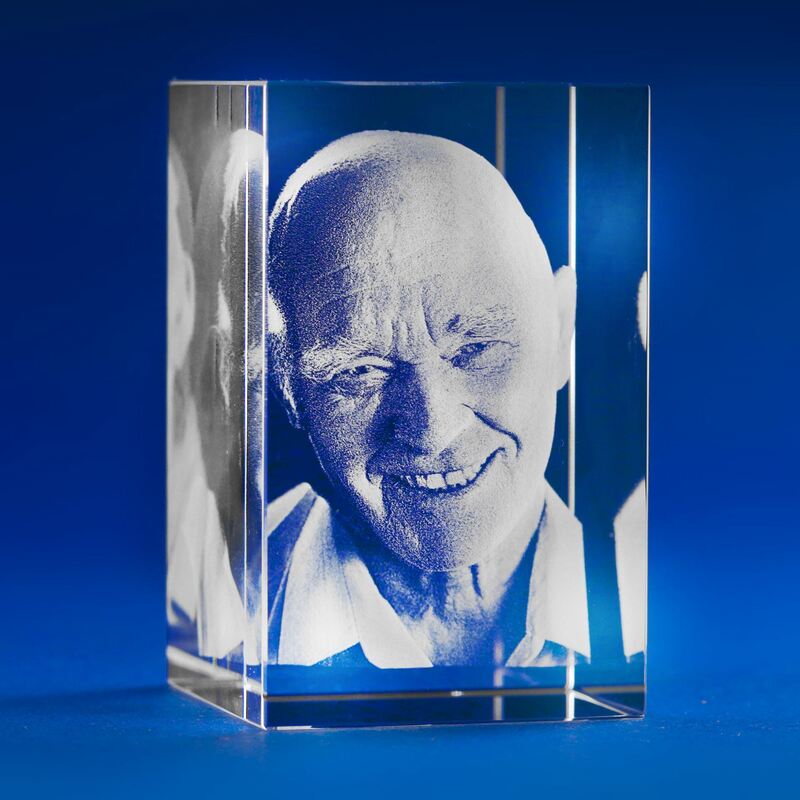 Crystal block with a bevelled edge, for one figure portrait-oriented photo. 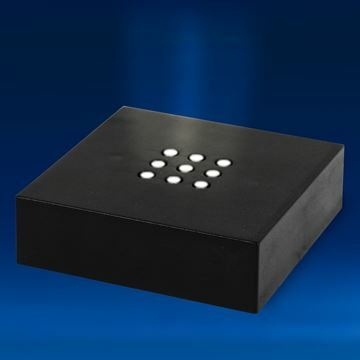 4 White LEDs, square shape light base made of aluminium material is a perfect accessory for your Medium Tower crystal.